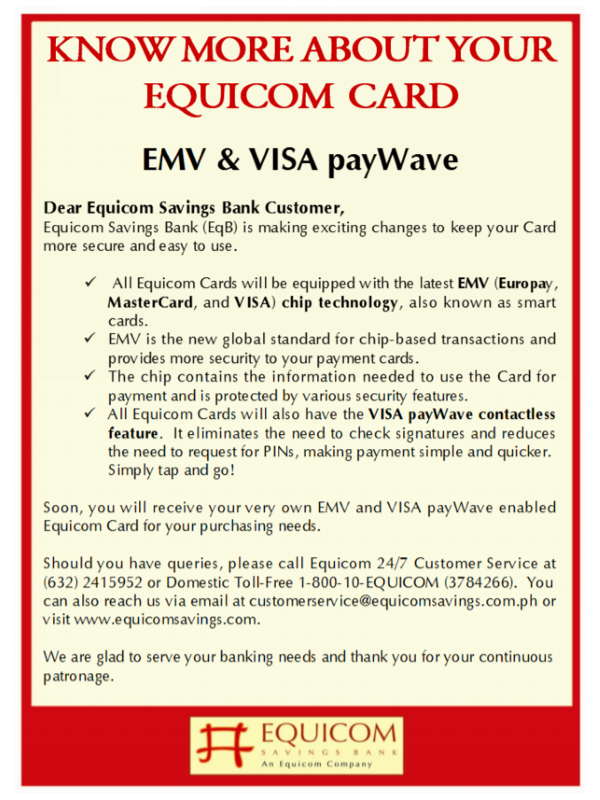 Equicom Credit Cardholders can now use the accumulated Equicom Key Points they have earned from their various transactions to contribute to humanitarian causes. 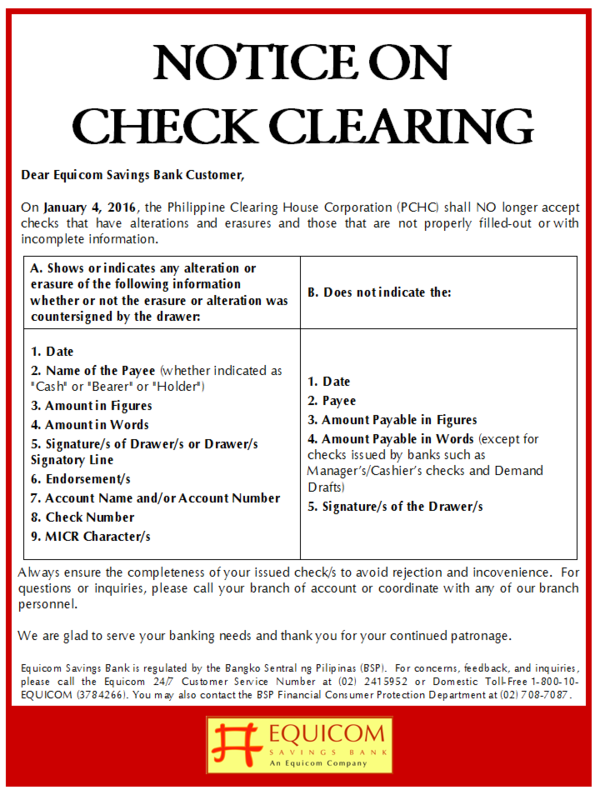 The beneficiaries can be street children, disabled persons or underprivileged families. 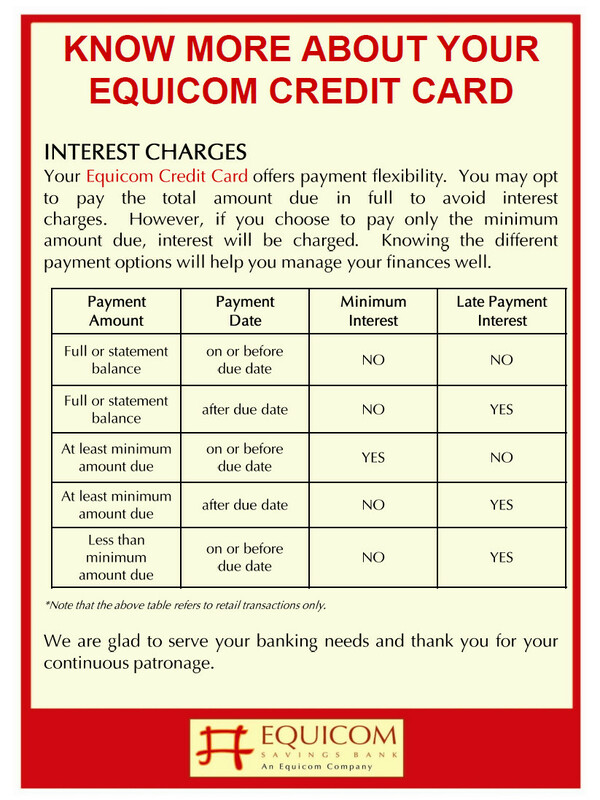 The donations can go a long way in alleviating the plight of the poor sectors of society. 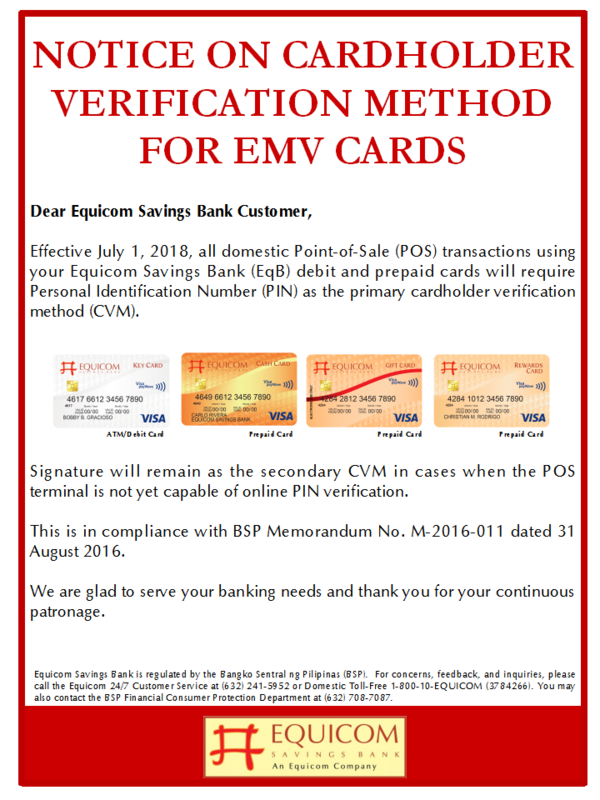 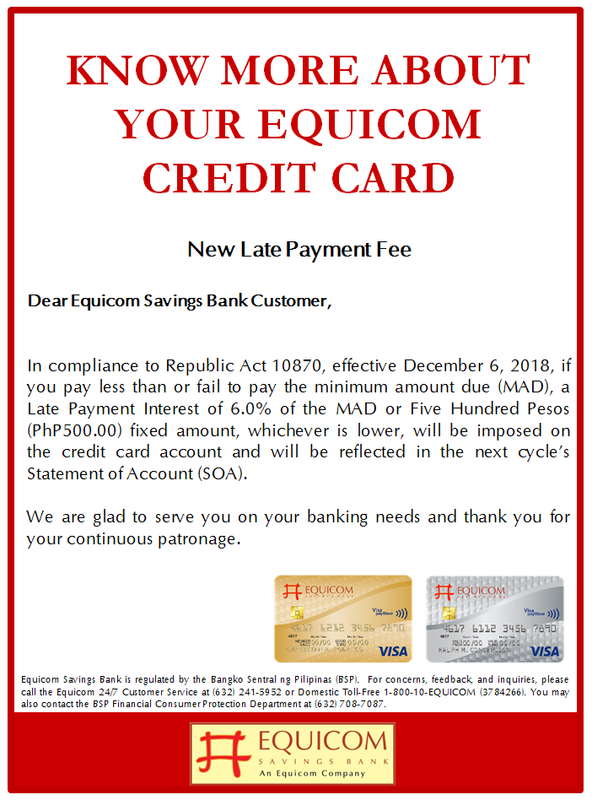 Equicom Credit Cardholders can participate in the realization of the above endeavor through the “Equicom Key Points Spend and Share Program.” The said program allows earned Equicom Key Points with an equivalent of at least P300.00 cash credits be given as donation to pre-selected charitable institutions. 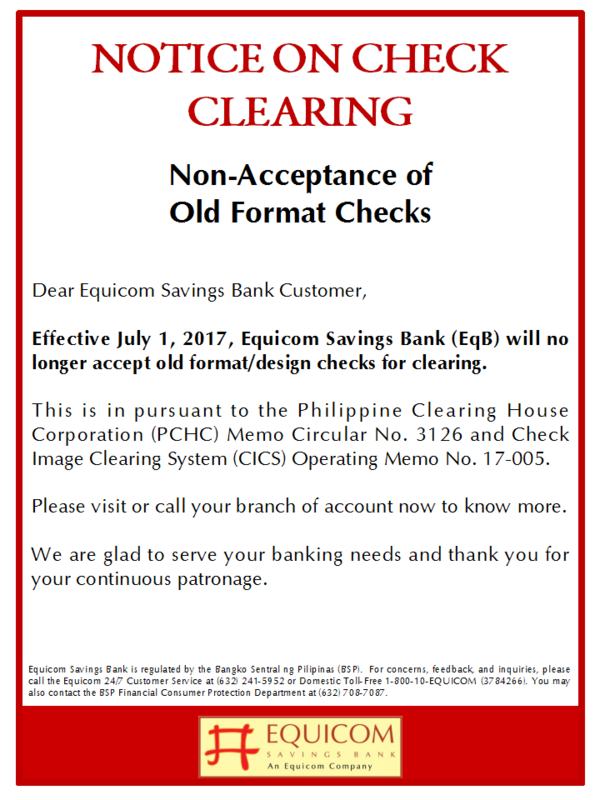 Among the pre-selected charitable institutions are the following: Childhope Asia Philippines, Kabataang Inyong Dapat Suportahan (K.I.D.S) Foundation, Pangarap Foundation, Tahanang Walang Hagdanan and Unang Hakbang Foundation. 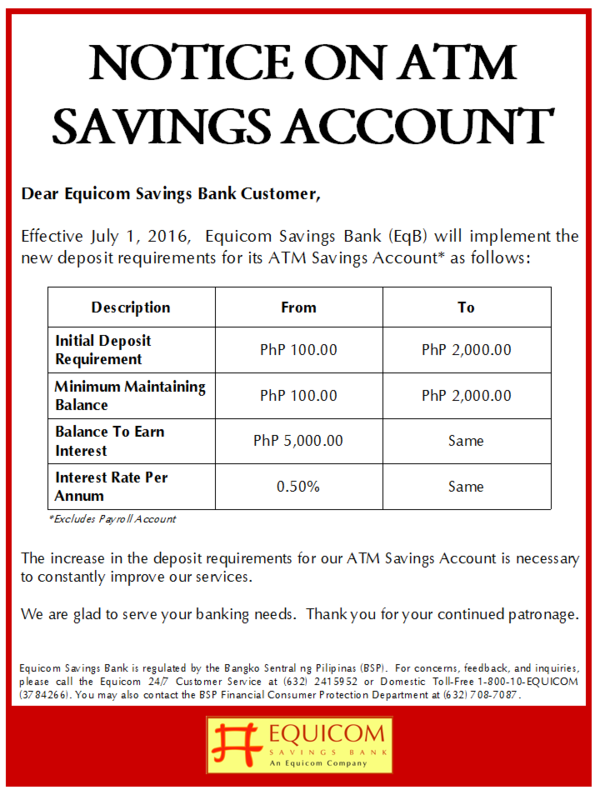 Cardholders can also choose to donate to other charitable institutions at a minimum amount of P2,000.00. 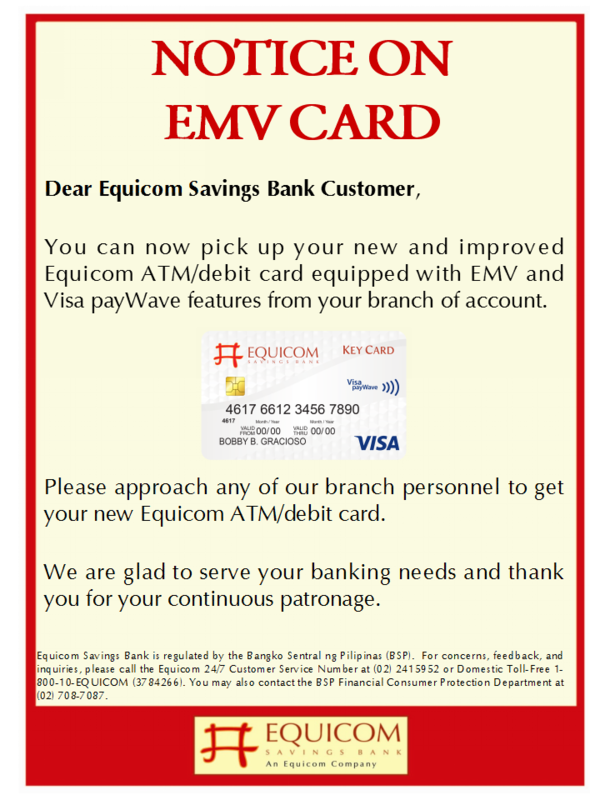 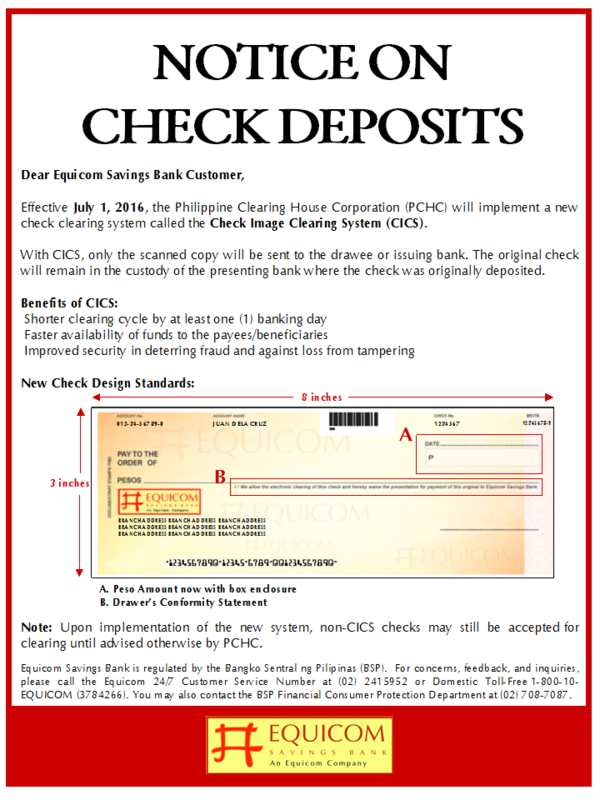 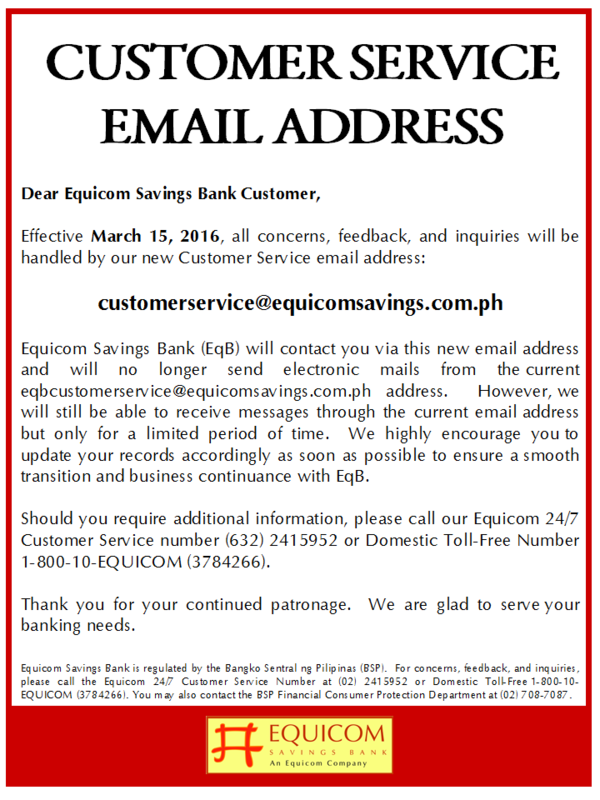 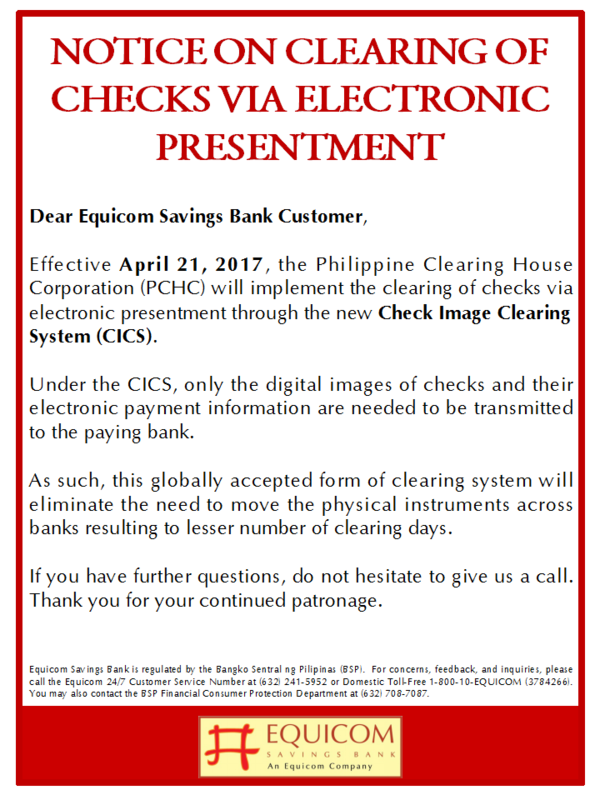 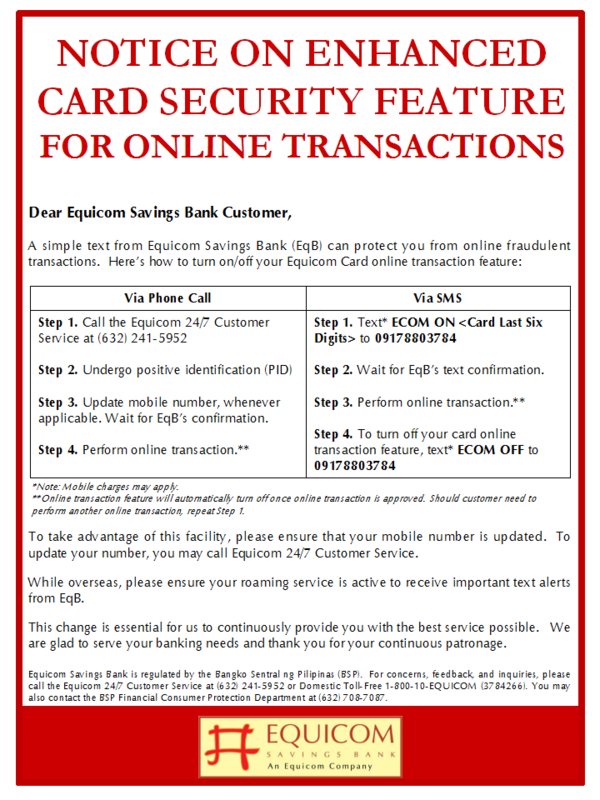 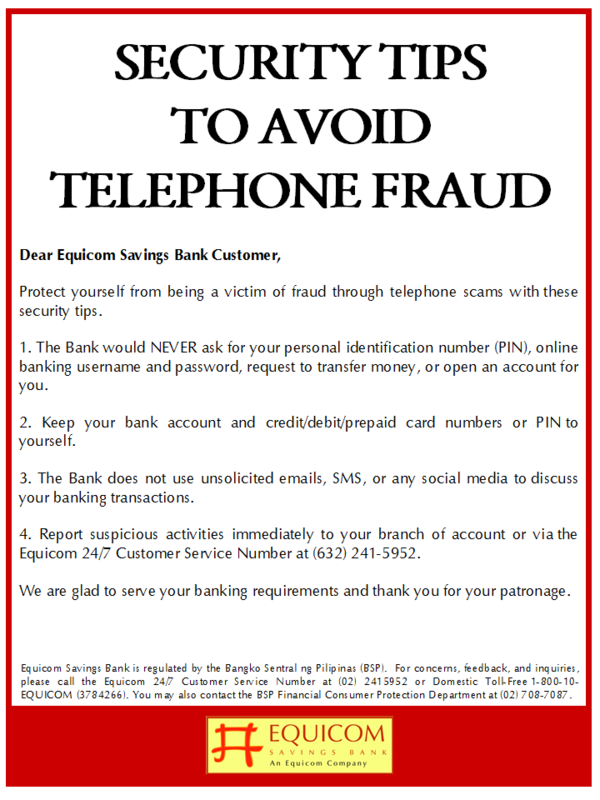 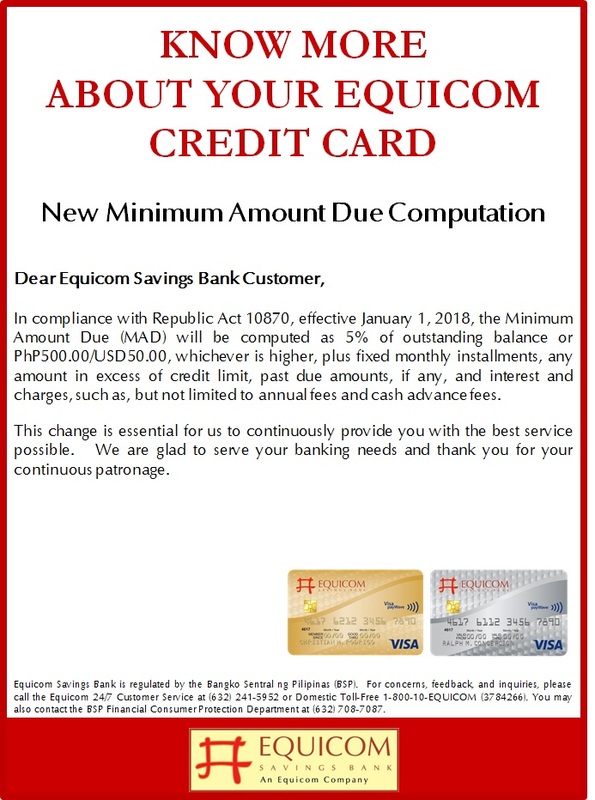 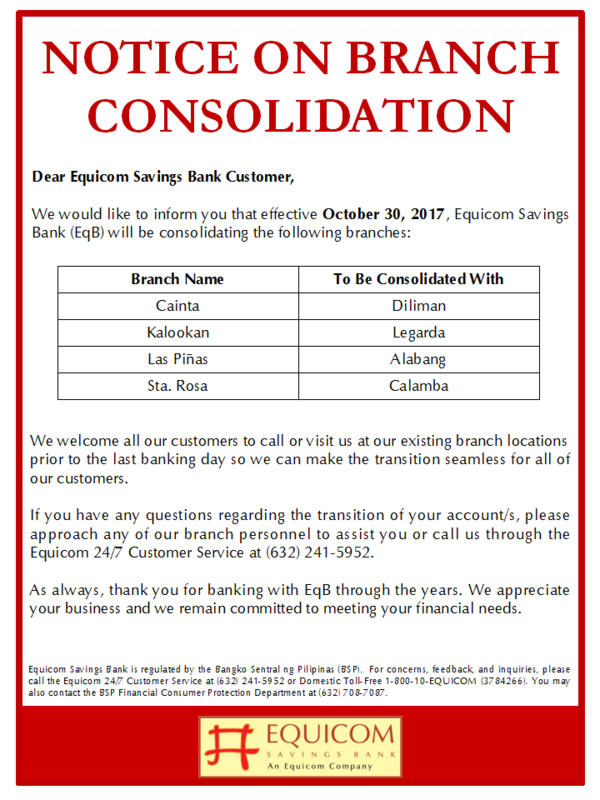 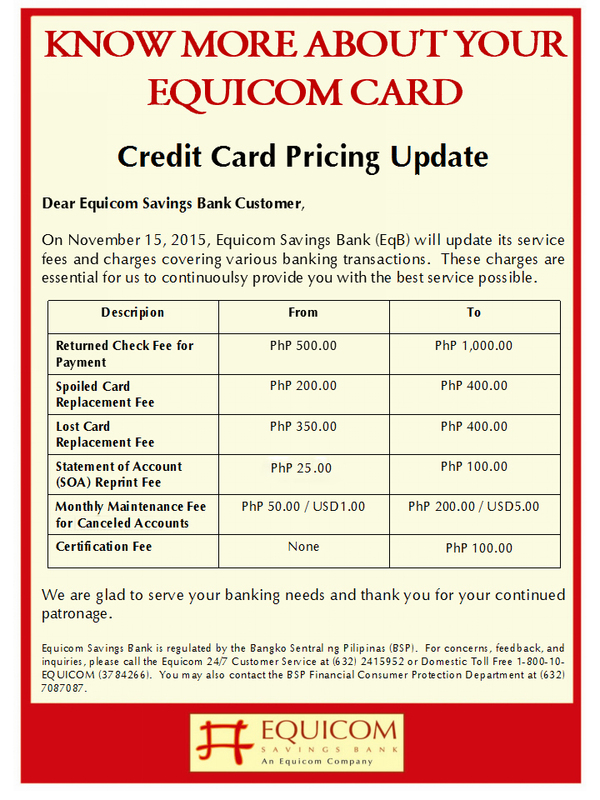 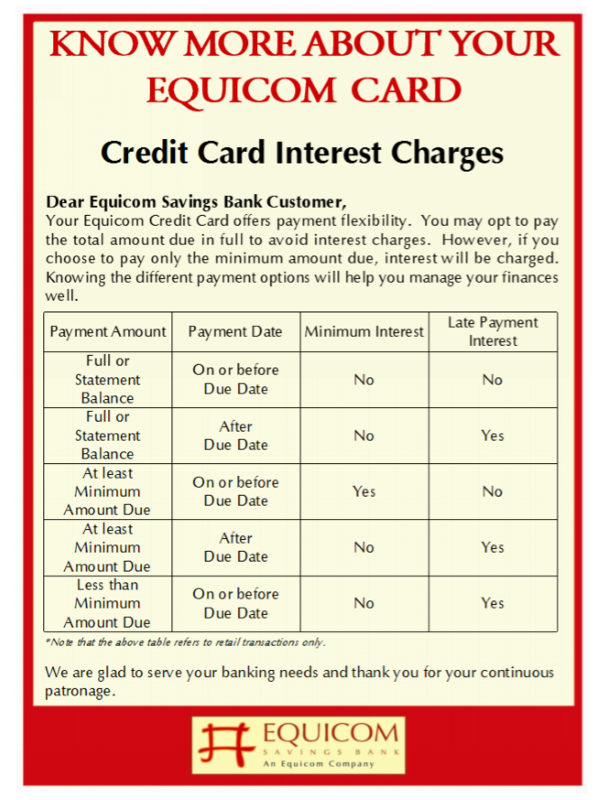 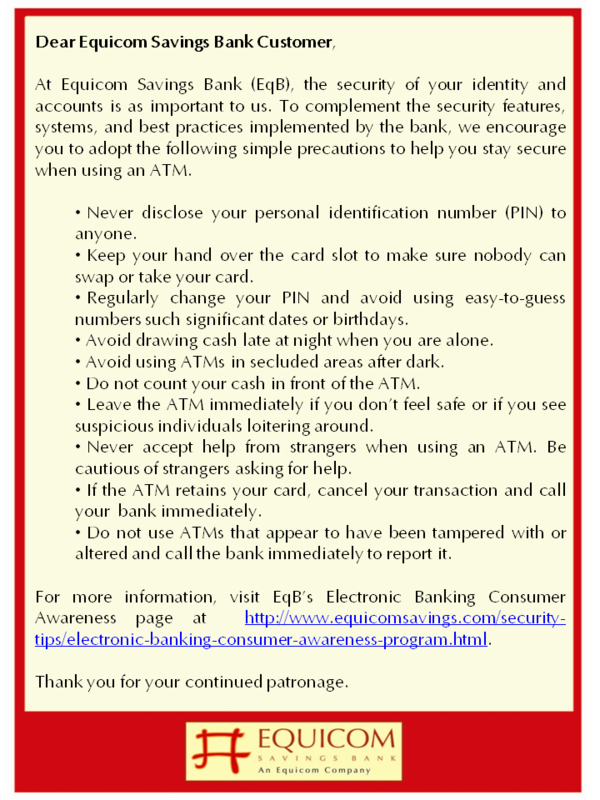 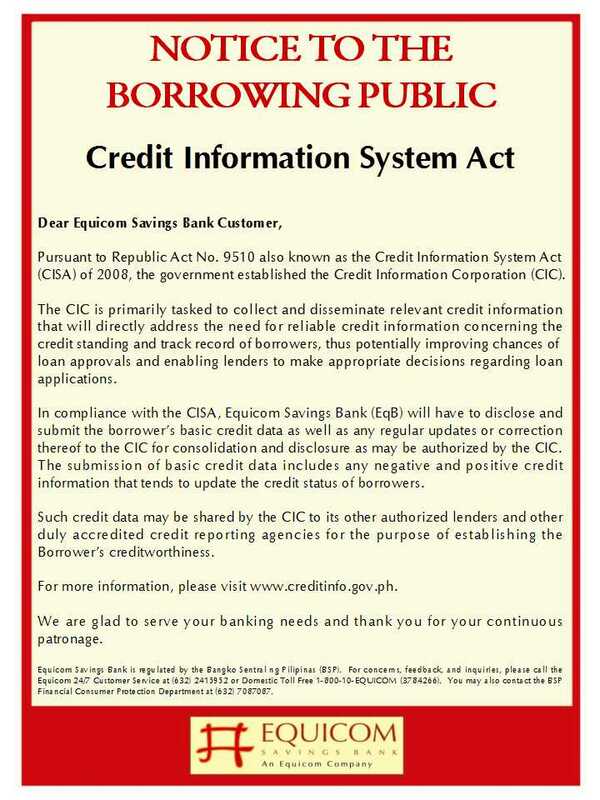 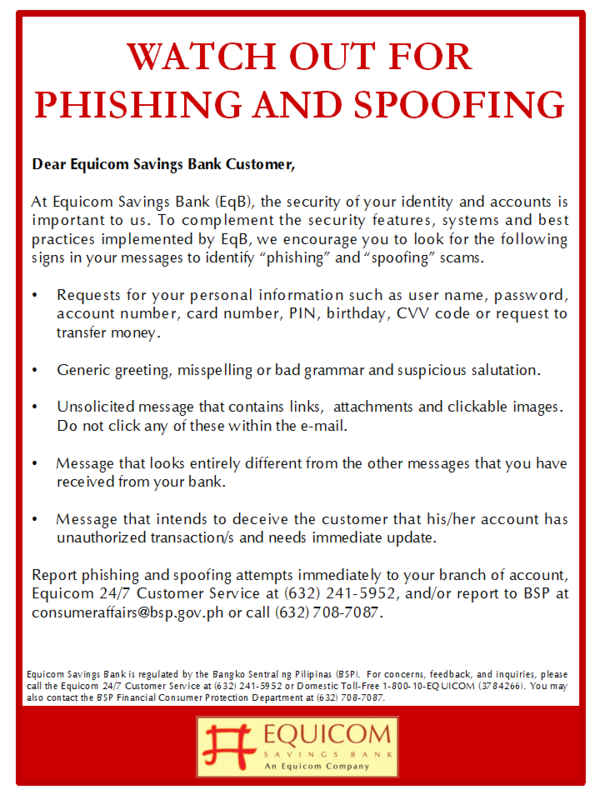 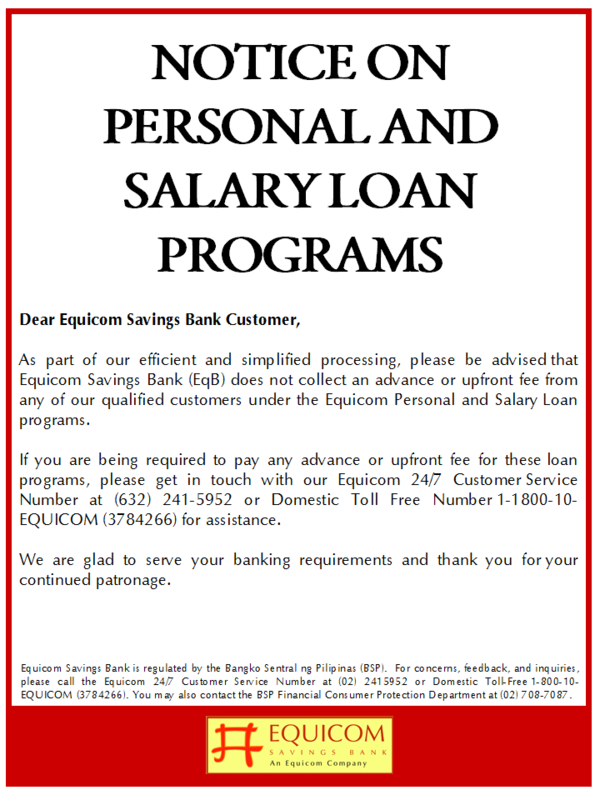 For more details on “Equicom Key Points & Share Program,” call the EqB Hotlines at (632) 241-5952 or 1-800-10-EQUICOM (3784266) or visit the website www.equicomsavings.com.